After the State Defence Council decided that conscription of 19-26-year-olds should be reintroduced for a 5-year period and as the Seimas is preparing to consider the issue, Chief of Defence Major General Jonas Vytautas Žukas says Lithuania has learned five lessons from the conflict in Ukraine. According to Žukas, the first lesson is related to hybrid warfare. It demonstrated in Ukraine that unconventional threats should be tackled instantly and with adequate military measures, even before the martial law is imposed. The Lithuanian Seimas adopted the Statute on the Use of the Armed Force on 16 December 2014. This has enabled to use the military in the time of peace responding to unconventional threats that differ from the armed aggression, for example, in case of a provocation, attacks by armed groups, armed people crossing the state border, etc. 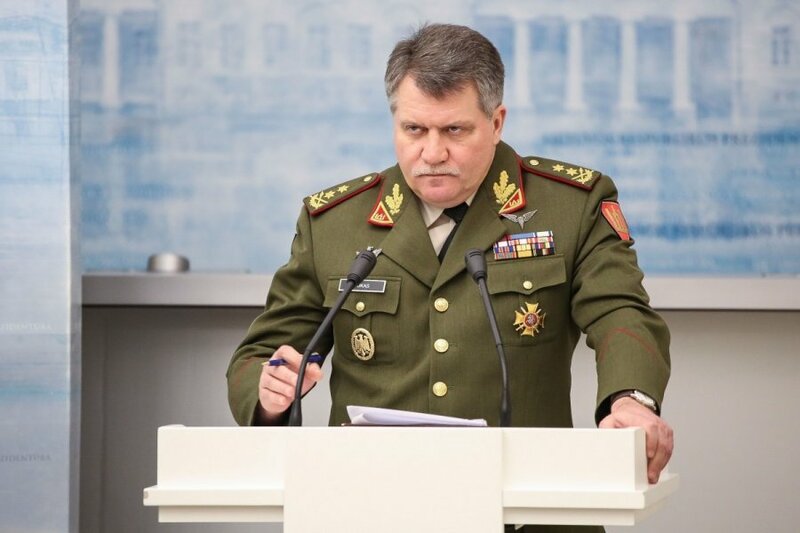 The chief of defence added that national rapid reaction forces were formed in order to respond to the aforementioned threats - two battalion-sized battle groups with air, special operations forces and logistics support elements assigned to it. They have been on duty since November 2014 and are ready to respond from 2 to 24 hours. The second lesson, according to Žukas, is the realisation that interaction between the country's power structures is important in case of a hybrid conflict. Therefore, the military is cooperating increasingly tighter with the Ministry of the Interior: the Police Department, the State Border Guard Service, the Fire and Rescue Department, the Public Security Service and the VIP Protection Department. The institutions are exchanging intelligence information and are training together while the legal basis and activity procedures are being developed. 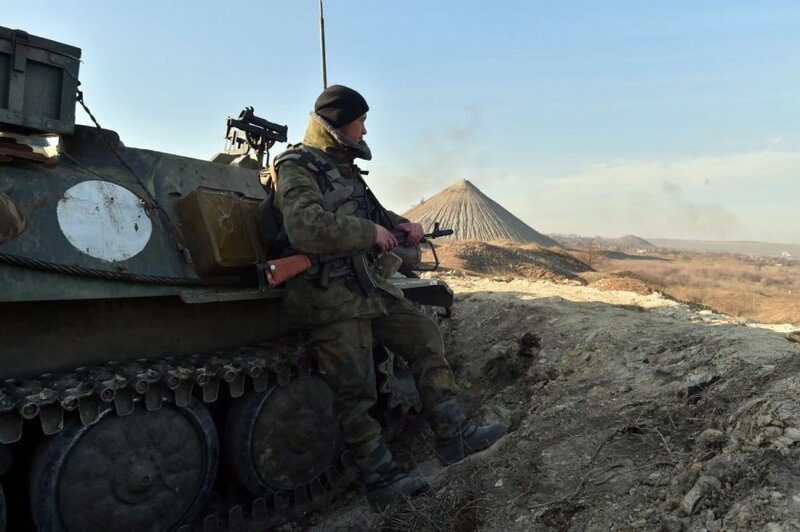 The third lesson of the conflict in Ukraine is the necessity of modernisation. Žukas says that armament and military equipment has to be constantly modernised in order to maintain an adequate readiness level of the Armed Forces. He says it should be focused on enhancing intelligence, anti-tank, air-defence and fire support capabilities. However, this is determined by funding. Žukas says that Lithuania's defence funding returned to the level of 2008, but it is far from 2 percent of GDP required by NATO. According to the chief of defence, armament purchases are being carried out taking into consideration priorities. For example, Lithuania purchased marksman rifles FN SCAR, man-portable air-defence systems GROM. It is planed to acquire anti-tank weapons, self propelled artillery, infantry fighting vehicles, to modernise mortars, etc. The fourth lesson is the understanding how important information war is. The major general maintains that in case of an armed conflict success in the information space also plays an important part. The Armed Forces itself and the media have to ensure that the society has access to objective information. Capabilities are needed to ensure information and cyber security, strategic communication and anti-propaganda activities. Lithuania has advanced in this area by founding the National Cyber Security Centre which will be responsible for monitoring and managing highly significant information infrastructure and cyber incidents involving information resources. It is also responsible for the planning related to information infrastructure. In addition, the Strategic Communication Department of the Lithuanian Armed Forces is monitoring and analysing the information space, providing assessments and proposals for counteractions. The Riflemen's Union and the Non-Kinetic Operations Company of the Volunteer Forces are actively involved in the fight in the information space, as well as representatives of the media and those sympathetic with the Armed Forces. The fifth lesson learned, according to Žukas, is that the society has to be ready for action in case of war. In early 2015 the Ministry of National Defence introduced a publication titled What We Must Know to Prepare for Extreme Situations and War. Žukas says that joint mobilisation and civic resistance system is being developed. Public spirit and patriotism are being promoted, information about the Lithuanian Armed Forces and opportunities to undergo military training is being presented.